– a walking simulator inspired by Twin Peaks S02E22 "Beyond Life and Death"
An eerie and surreal survival experience, created for the TV Game Jam, 2019. 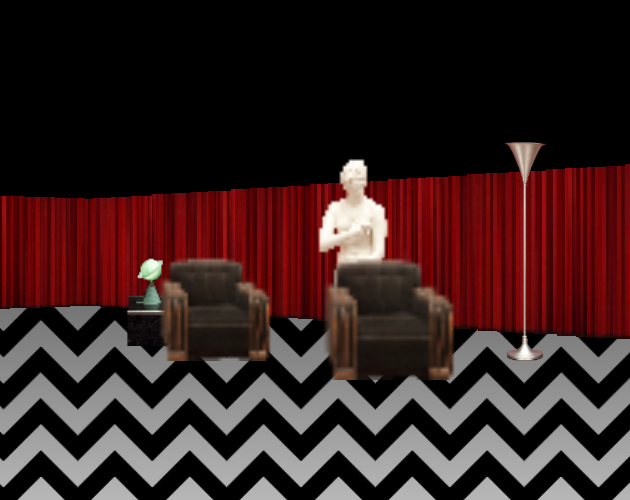 Walk in the shoes of special agent Dale Cooper as he tries to escape the Black Lodge, and most importantly, his evil half! While I "repurposed" the art myself for the aesthetic style I had in mind, it goes without saying that, without the legendary work of series creators Mark Frost & David Lynch, none of this would have been possible. Wow, very interesting game also considering you made it in a few hours! 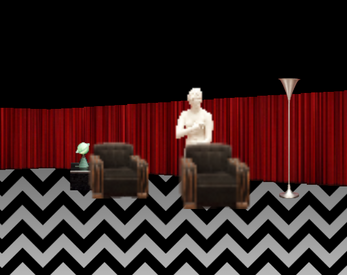 mxing doom style with twin peaks black lodge sounds stylish! good job! Well, that was way creepier than it had any right to be! What exactly should I do? Keyboard does nothing and I can only click on things that are selected and that's all. That's exactly how I would describe the Twin Peaks episode my game was based on, so I'm very glad it evoked these feelings from you :) (And yes, you reached the end ;)) Thanks for playing!